North Ayrshire Table Tennis Club invites applications for two new coaching posts within the club. As we increase the number of sessions on offer within North Ayrshire, we require two community table tennis coaches to meet the demand. The role will be part time with flexible hours, starting Oct 2018. 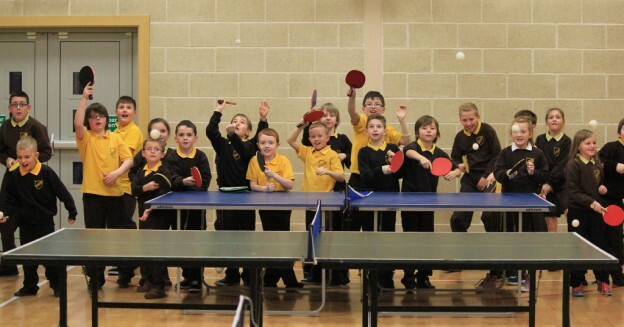 The aim is to develop table tennis around North Ayrshire, increase participation, organise coaching in schools and sporting facilities and assist coaches at club sessions / competitions. – Promote and raise awareness of the club. – Target key hard to reach groups including older adults, girls, kids from disadvantaged areas and the disabled. – Create new satellite clubs and an outreach service to the area. – Work closely with school teachers and active schools professionals to ensure a successful implementation of new classes. Applications to be made by 5pm Friday 5th October. Please send CV and and outline of how you would achieve the outcomes to info@northayrshirettc.co.uk. Futher details available from Billy Main, info@northayrshirettc.co.uk // 07979806571. This entry was posted in Featured, Latest News on 26th September 2018 by Chris Main.